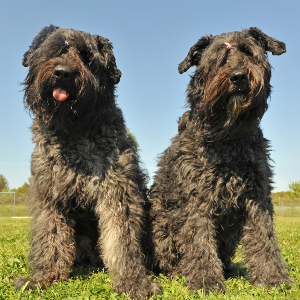 Bouvier des Flandres were originally from Flandres in Belgium. Enjoy activities including pulling carts, agility, tracking, herding, and competitive obedience. Learn well with reward-based training techniques. Good family dogs, but should be closely supervised around children to prevent any injuries. 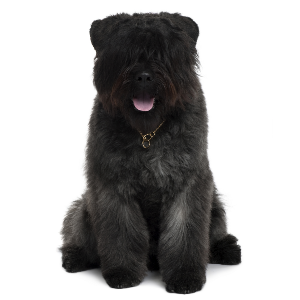 Bouvier des Flandres were originally from Flandres in Belgium. Back in the 1600s, they were working dogs, used for driving cattle and herding sheep. 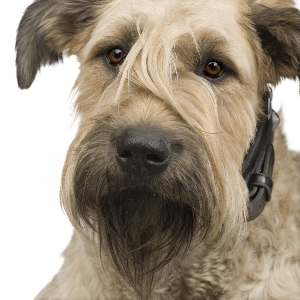 Their ancestors include the Brussels Griffon and the Beauceron. The population fell dangerously low during both World Wars, but was helped by the efforts of a veterinarian in the Belgian army. 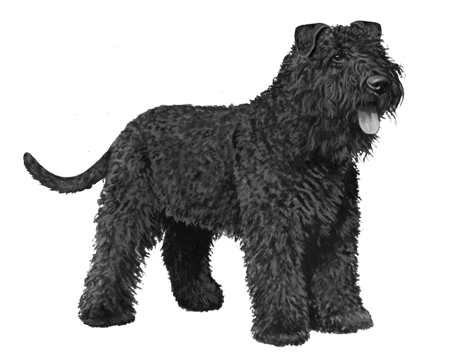 They were officially recognized as a breed by the American Kennel Club in 1929 but didn’t arrive in large numbers in America until after World War II. 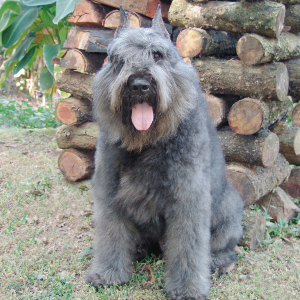 American President Ronald Reagan once famously owned a Bouvier des Flandres by the name of Lucky. 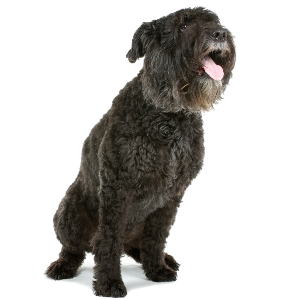 With the breed’s gentle temperament and loyal personality, some would argue it’s their owners who are the lucky ones.